On my first ice climbing trip to Banff in 2004 I tried to climb Louise Falls (110 m, II, WI4-5) with Carsten P. Jensen but none of us had the guts to lead the crux free-standing pillar (read story here). This has annoyed me for all these years and today I thus returned with David Brauner to finish the climb. 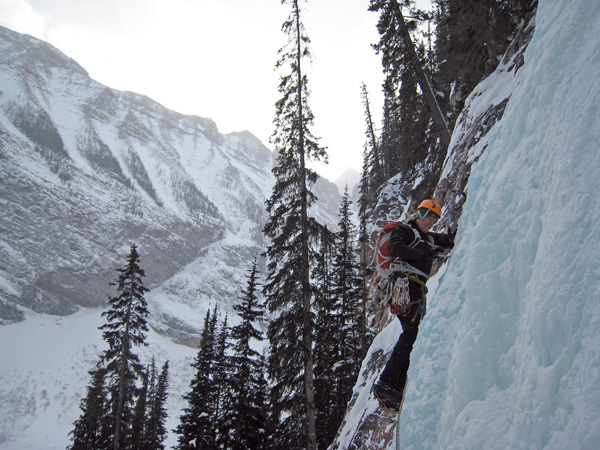 Our agreement was that he would lead the first two pitches and I would then lead the final crux pitch. It was freaking cold (approximately -30°C) when we got out of bed. When we arrived Lake Louise a couple of hours later it was not much warmer and we thus quickly agreed to start out with a Starbucks coffee and wait a bit for it to warm up a bit! 30 min later we were on the way along the lake which provides the easiest access of the Canadian Rockies along a horse sledge track. Although it was Saturday we only had to share the route with one other party. 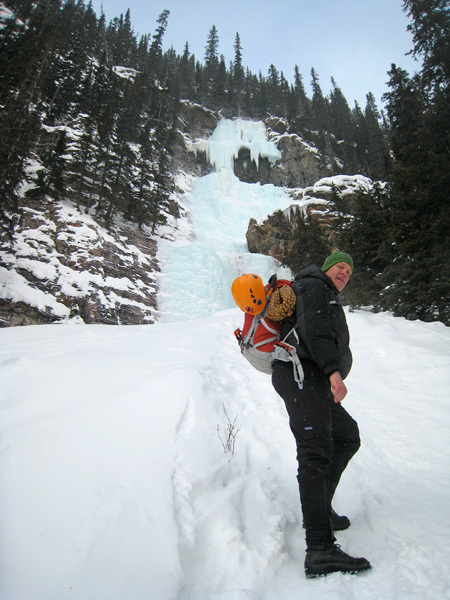 Despite the popularity of the route, the freaking cold kept people away (it got up to a high of -21 °C) - great for us! As planned David lead the first two pitches up to a belay left of the free-standing pillar. Much to our surprise the ice was quite good and not brittle as we had feared. Probably, the previous warm temperatures were still "stored" in the ice. 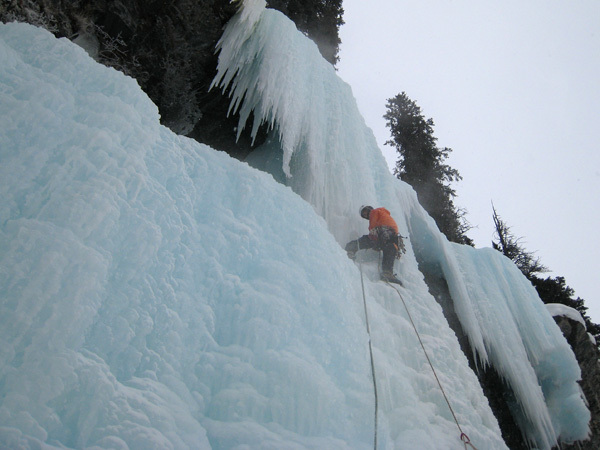 In spite of the cold it rained down with water between our belay and the pillar. I thus quickly traversed the waterfall and got myself established below the pillar. The water was undercooled and thus turned into instant ice as it me. Nice as it didn't penetrate the clothing but the ropes soon got covered in thick ice. Put in two good screws for each of the half-ropes and then began climbing the vertical pillar. 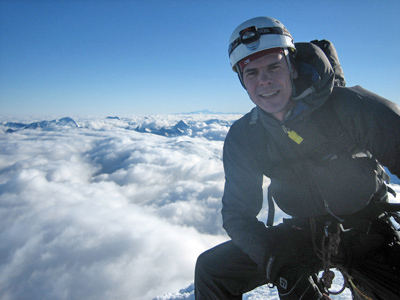 I climbed with my axes in a narrow groove with good hook holds for the axes which allowed me to place my feet on the outside of the groove which reduced the angle of the climb. I thus found the pillar surprisingly easy. Soon, I was at the belay in the trees. 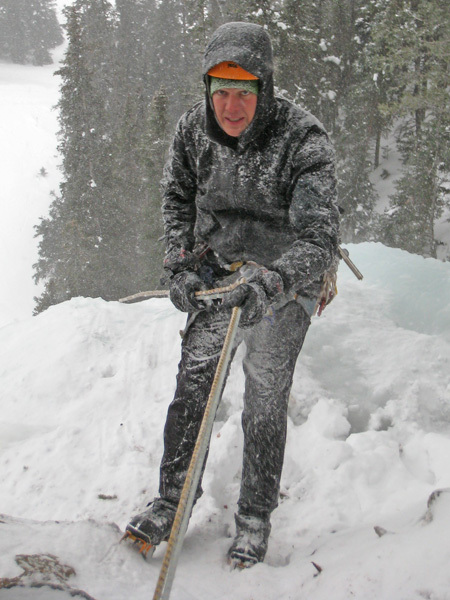 It was quite hard to pull the ice covered ropes through the belay device - probably the hardest part of the climb! A great route which I can highly recommend and a great feeling finally to complete the route! 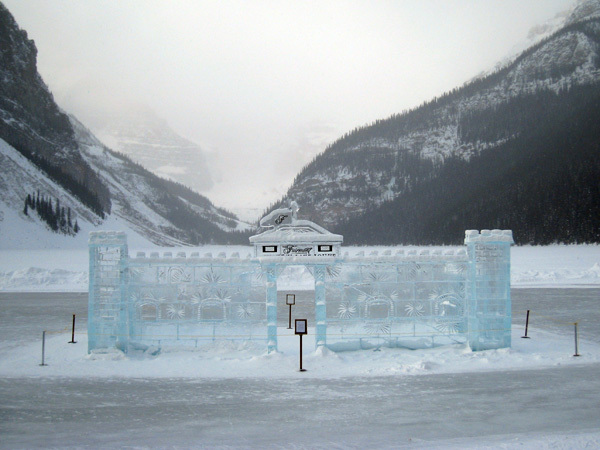 The ice skating ring of Chateau Lake Louise. 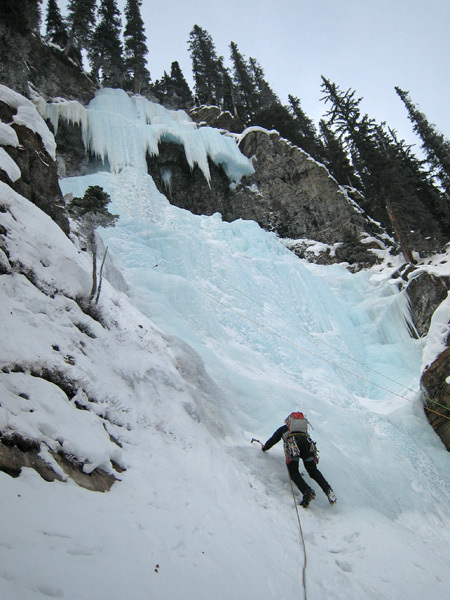 The ice flow of Louise Falls can be seen in the forest on the right above the ice castle. David in front of the route. The grade varies between WI4 and WI5 depending on how the crux pillar has formed. This year it was fat and easy - I would say WI4. David leading the first pitch in the most beautiful surroundings. David leading the second pitch. 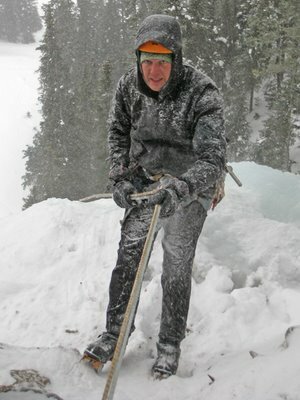 Hans getting ready to lead the crux free-standing pillar. David covered in ice rappelling the route.